Photographer, teacher, and sociologist Lewis W. Hine (1874-1940) shaped our consciousness of American working life in the early 20th century like no other. Combining his training as an educator with his humanist concerns, Hine was one of the earliest photographers to use the camera as a documentary tool, capturing in particular labor conditions, housing, and immigrants arriving on Ellis Island. His images, including those of children in cotton mills, factories, coal mines, and fields, became icons of photographic history that helped to transform labor laws in the United States. 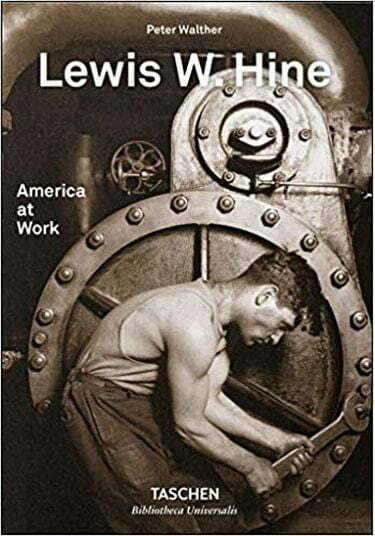 This book brings together a representative collection of Lewis W. Hine’s photography from all periods of his work. It spans his earliest forays into social-documentary work through to his more artistic and interpretative late photographs, including his phenomenal images of the construction of the Empire State Building and his symbiotic staging of human and machine as a comment on increasing industrialization. Alongside the near 350 photographs, the book includes an essay by the editor, introducing Hine’s life and pioneering work.